If Beale Street Could Talk, based on James Baldwin’s acclaimed novel, was met with critical acclaim last year and netted an Best Supporting Actress Oscar for Regina King. Directed by Moonlight’s Barry Jenkins, the narrative centers on Tish (KiKi Layne) and Fonny (Stephan James), a young couple in 1970s Harlem who are having a baby. When Fonny is thrown in jail for a crime he did not commit, Tish and her family (Regina King plays Tish’s mother) do whatever it takes to get Fonny out of jail. Special features on the Blu-ray and DVD editions include deleted scenes, a featurette (“If Beale Street Could Talk: Poetry in Motion”), and audio commentary from Barry Jenkins. 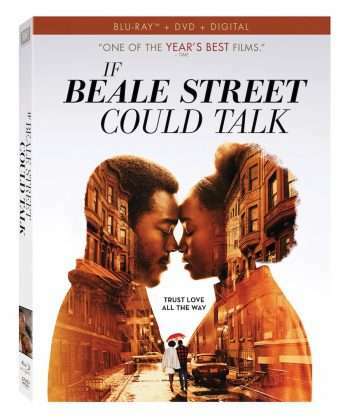 If Beale Street Could Talk hits DVD and Blu-ray on Tuesday, March 26.